Merchant teamwork is put to the test with the launch of ACO’s Race Team Manager 2017. The supplier’s highly popular F1-themed merchant team competition is back by popular demand, with even bigger and better prizes on offer – including a brand-new Lotus Evora 400 sports car. Race Team Manager, which sees teams of merchants pit themselves against colleagues and rivals to test both their teamwork skills and F1 knowledge, will return for the closing leg of the 2017 season, starting with the Italian Grand Prix at the iconic Monza circuit which takes place over the first weekend in September. The 2017 event, which is free to enter for any merchant employee, will build on the competition’s initial success, and run for a concentrated six-race period. As well as the Italian Grand Prix, it will cover races in Singapore, Malaysia, Japan, USA and Mexico, before culminating in the Grand Final, held in December. As with the 2016 competition, entrants will compete both as part of a team and as individuals. The team competition will involve colleagues pooling their knowledge to answer a series of questions in the run up to each race weekend. Come the chequered flag at the Mexican Grand Prix, the top eight teams, and two wildcards will be invited to attend the Race Team Manager 2017 Grand Final, in December. 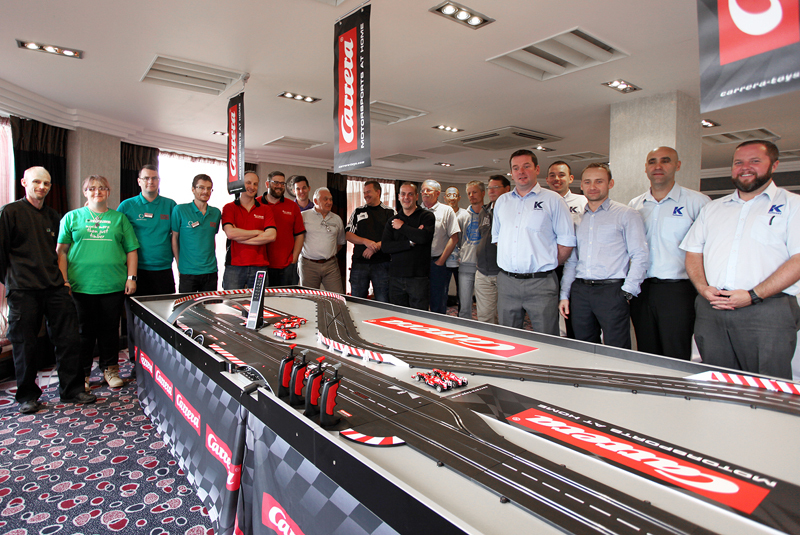 Over the course of the day, the 10 finalists will be put through their paces in a race team-themed knowledge quiz, and a series of races on a specially-made Carrera slot car track. In order to mirror the activity of Formula 1 race teams, all entrants will be given time to work together and devise their own race strategy before taking their place on the starters’ grid. However, this year the overall winners will not only take home their choice of either a £2,000 cash prize or VIP tickets to the 2018 British Grand Prix at Silverstone, but will also have the privilege of being entered as the British Team at the 2018 Carrera World Championships, at Carrera World – Nuremberg. The 2017 event, which is free to enter for any merchant employee, will build on the competition’s initial success, and run for a concentrated six-race period. While the successful team format remains unchanged, the individual element of the competition has been altered this year, to cater for bigger and better prizes. All entrants need to do is guess the top three podium finishers and the first driver to pit stop ahead of each race. Correct guesses will be added to a weekly prize draw, with £200 on offer for first place, as well as Lotus and Carrera merchandise for runners up. However, correctly guess the top three finishers and first driver to pit stop for three races in a row and you’ll take home the grand prize, and largest ACO has given away to date: a Lotus Evora 400 sports car. Capable of 0-60 mph in just 4.1 seconds, the 400 HP model is Lotus’ fastest road car, and boasts a top speed of 186 mph. With a powerful 3.5 litre V6 engine, it will give one lucky merchant the chance to experience the driving rush of an F1 driver every week. 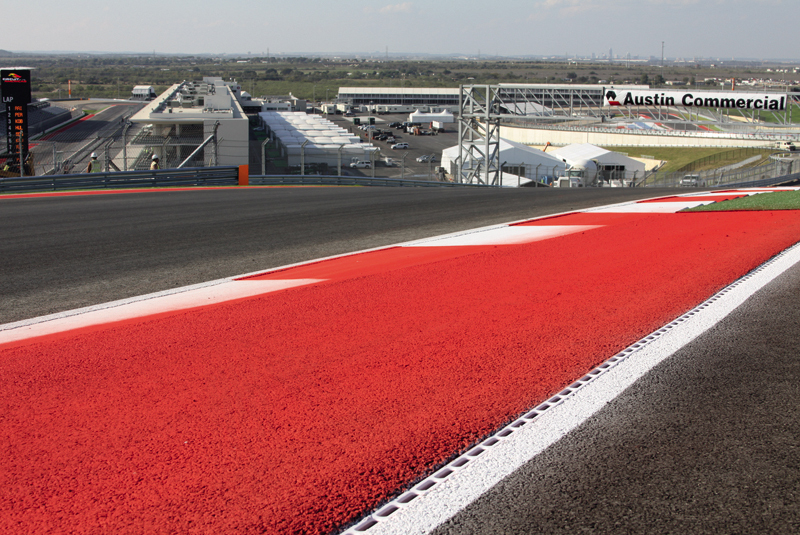 ACO has a long history of supplying water management solutions to the motorsport market, having developed bespoke drainage systems for 11 Grand Prix circuits around the world, including iconic tracks such as Monza, the Nürburgring and the Circuit de Cataluña. Merchants keen to register their interest in the 2017 Race Team Manager competition can sign-up now at: www.raceteammanager.com/v2/register.php. Full Terms and conditions apply.